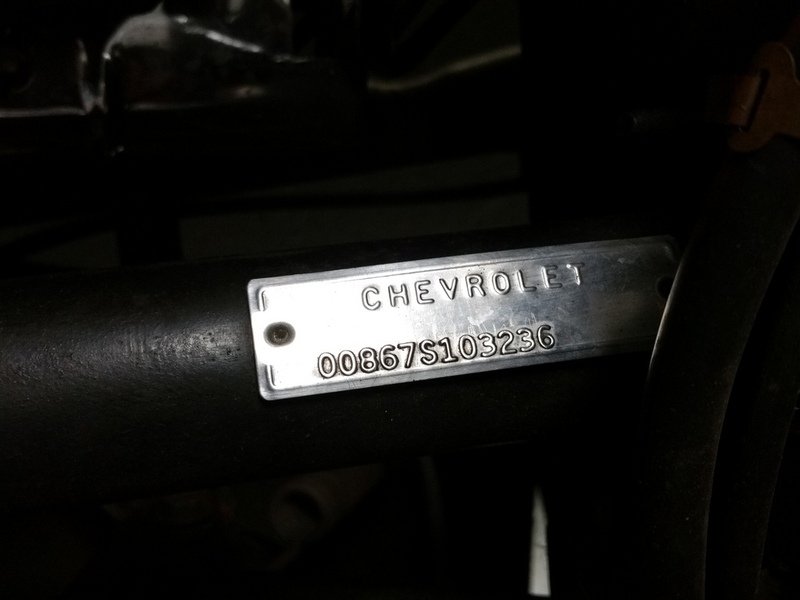 Very Rare, 1 of 766 produced that year! 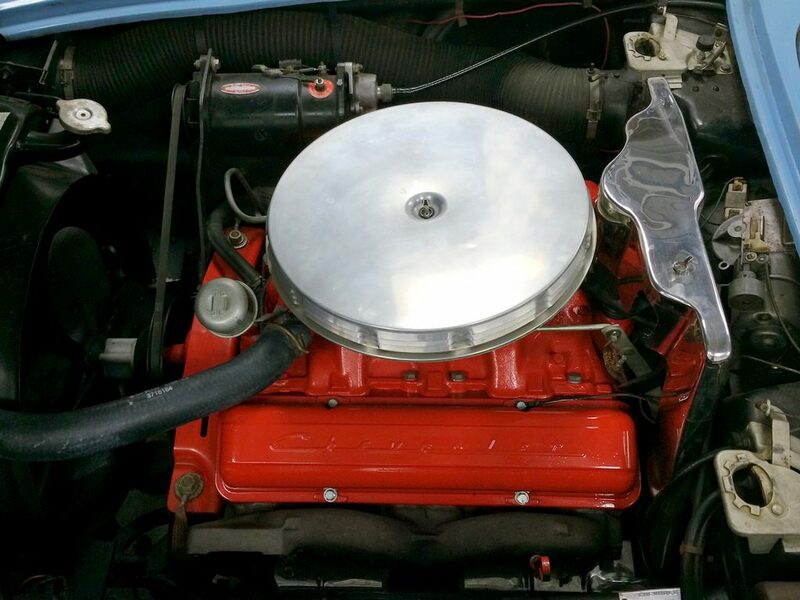 How could you not love this example? 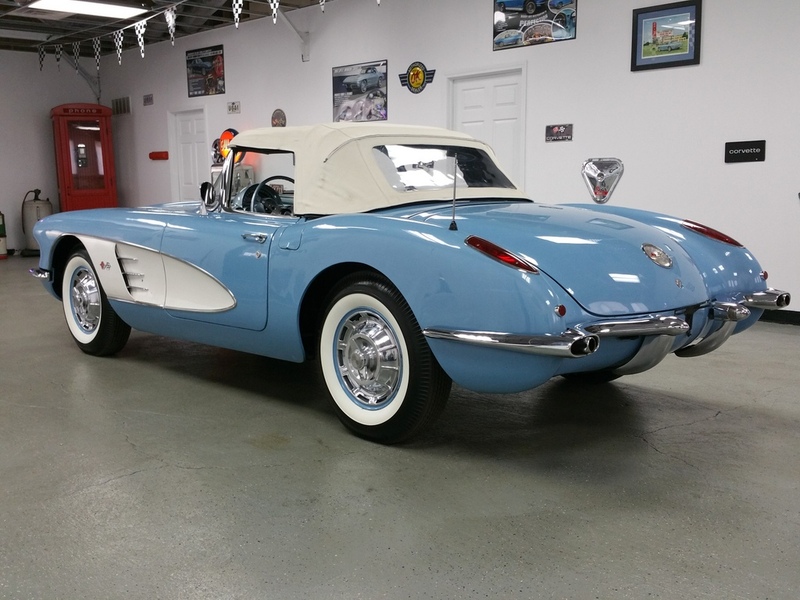 This 1960 features a white soft top, Wide White Wall tires and near Mint full caps. 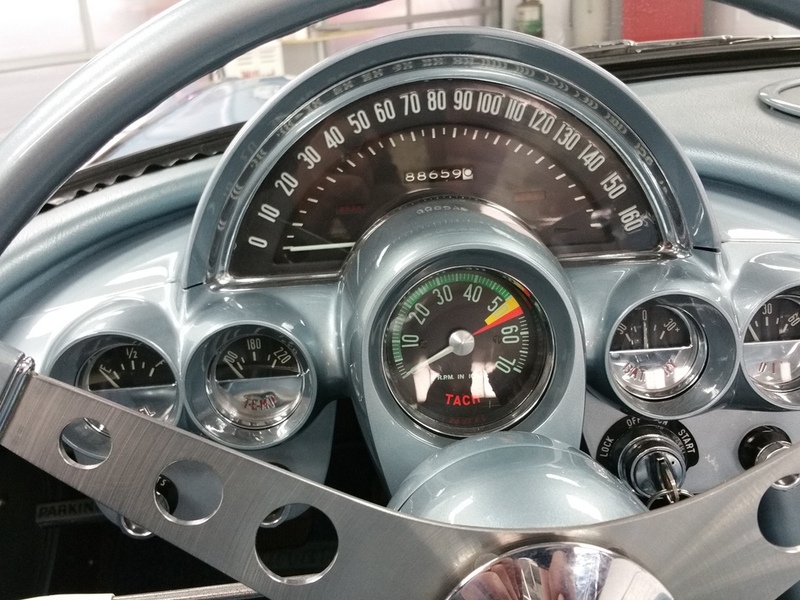 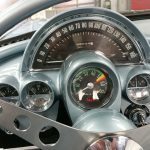 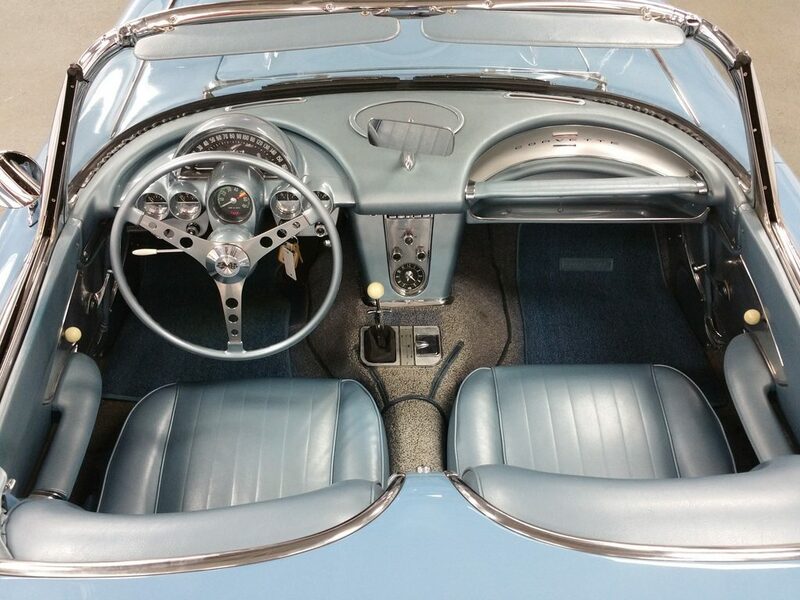 Pure 1950/60 Sports Car Classic. 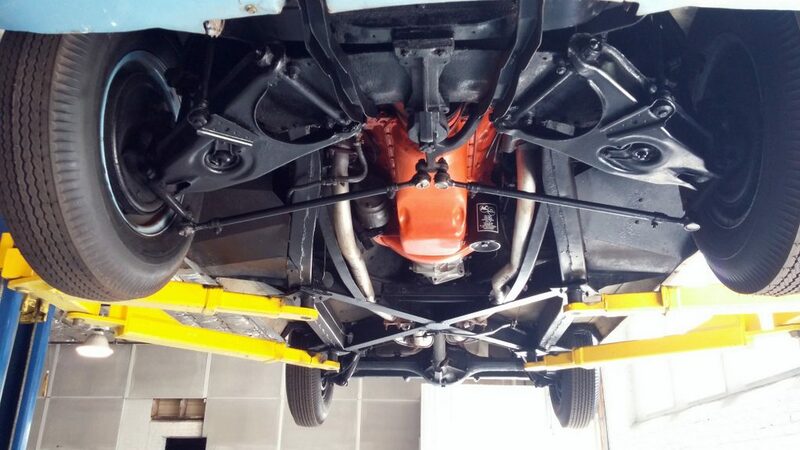 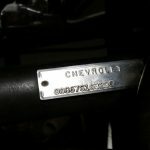 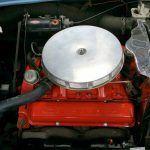 Original to the car– 3756519 with proper stamps and codes Detailed out with all the proper Hoses/clamps/decals/fresh air hose/exhaust manifold/VC’s etc. 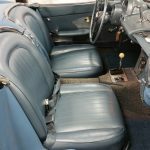 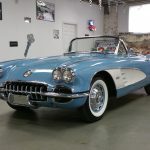 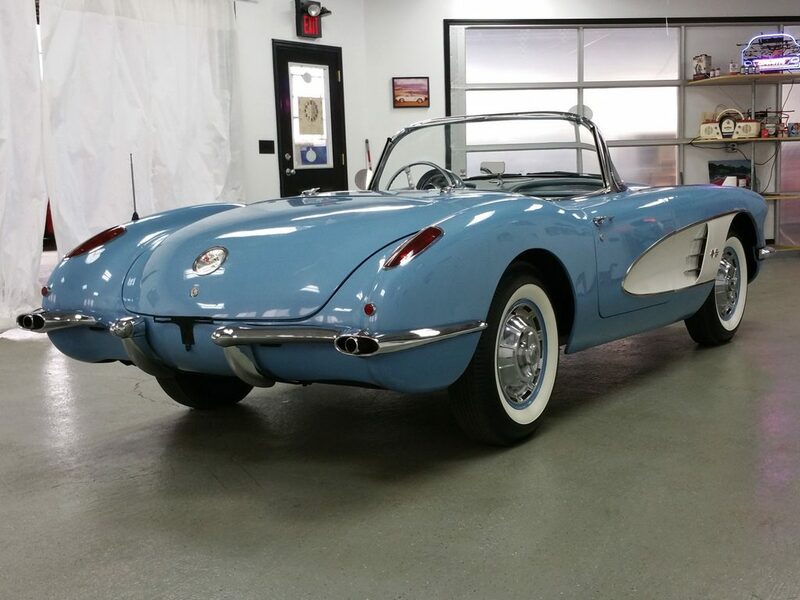 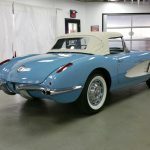 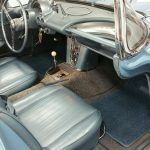 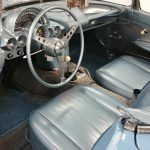 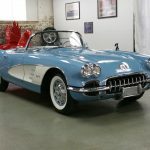 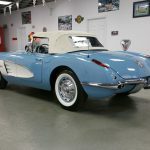 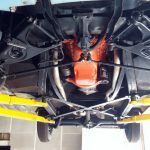 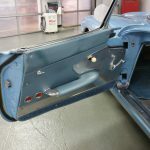 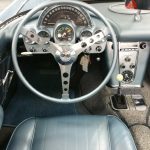 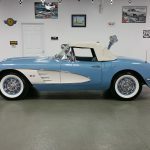 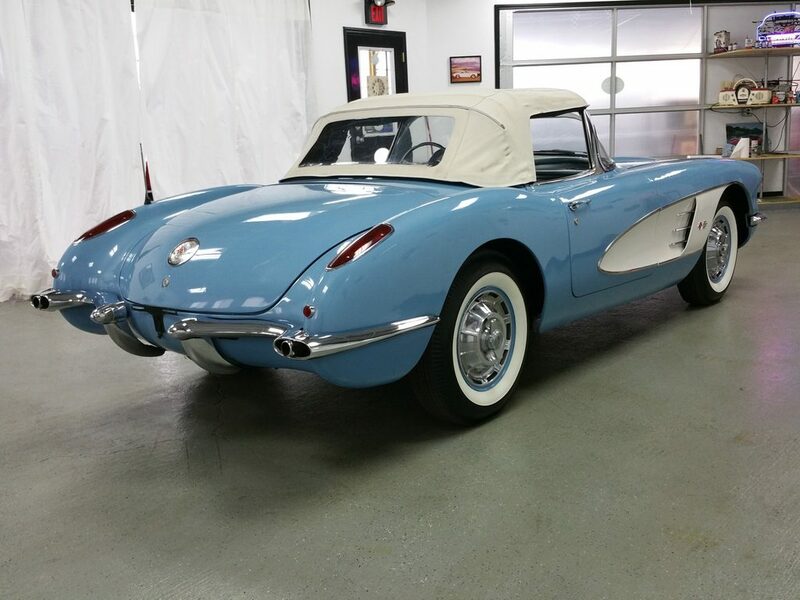 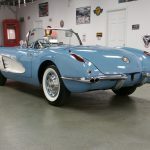 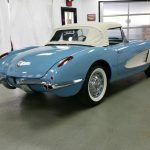 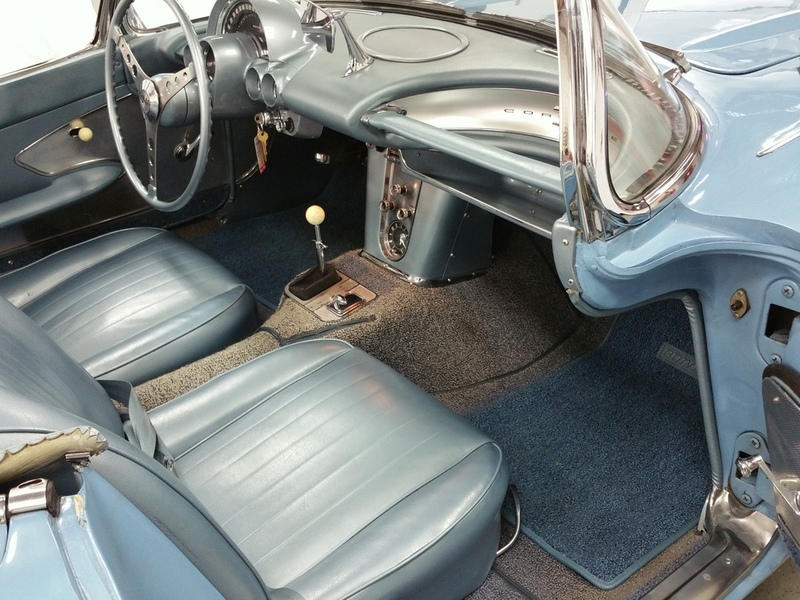 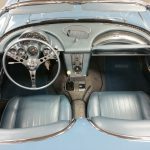 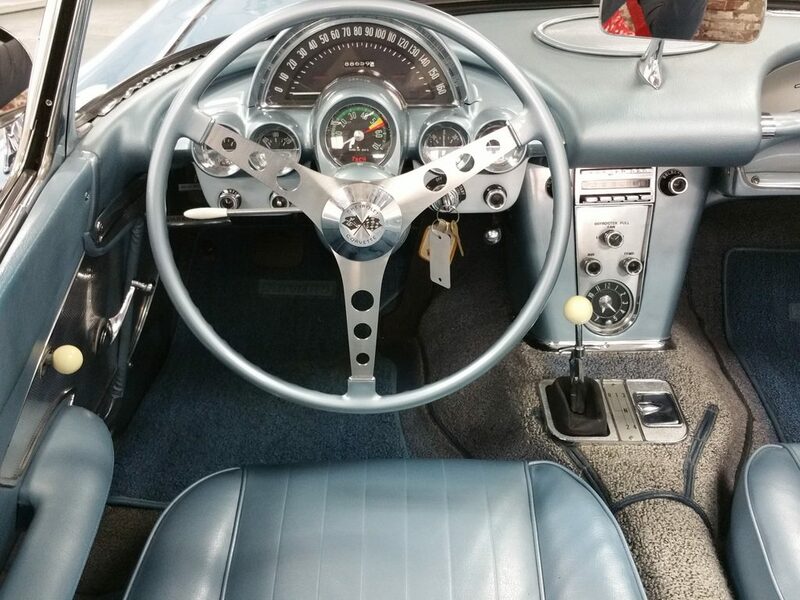 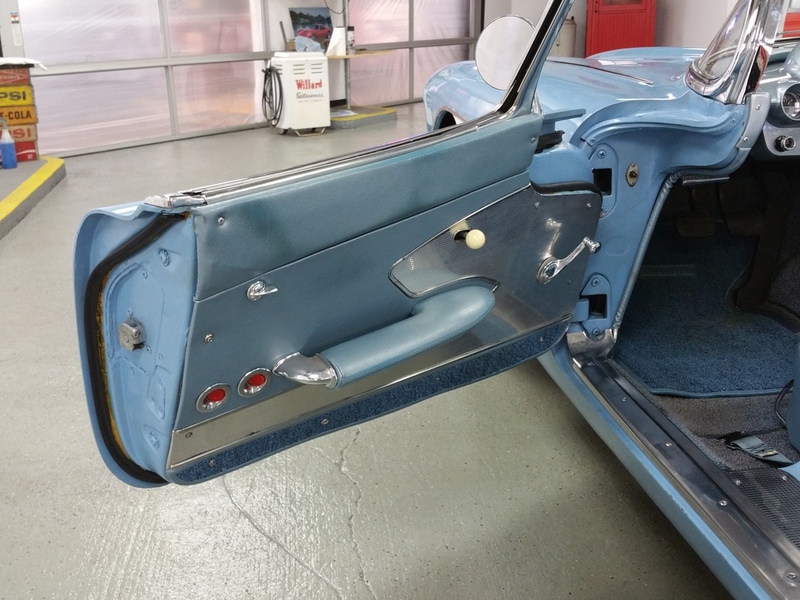 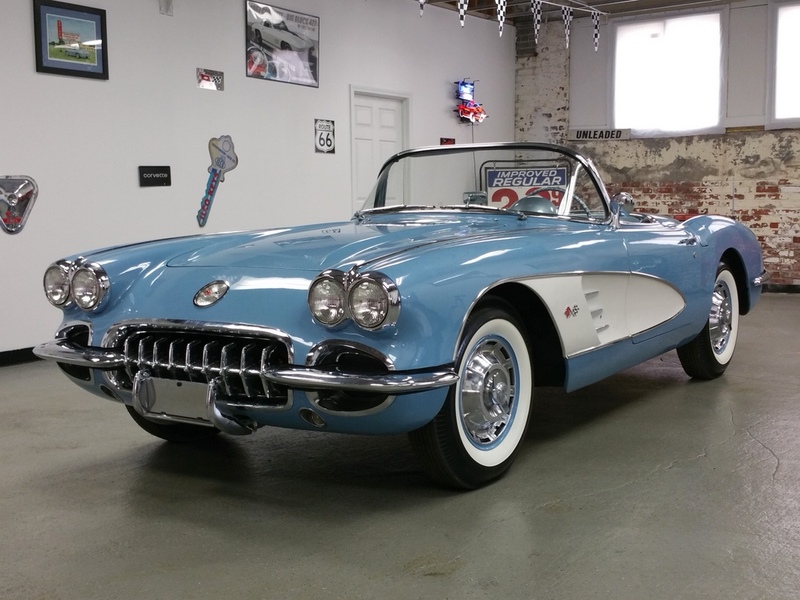 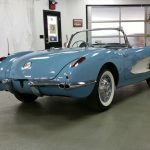 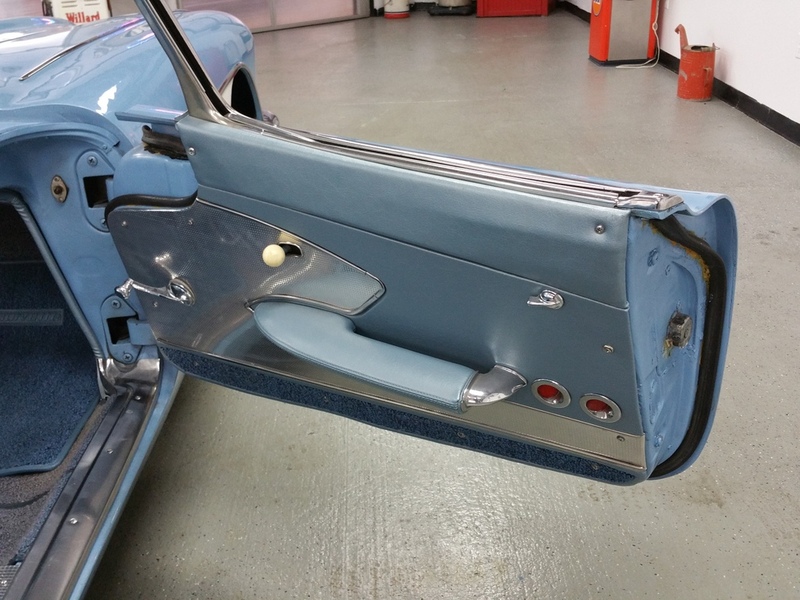 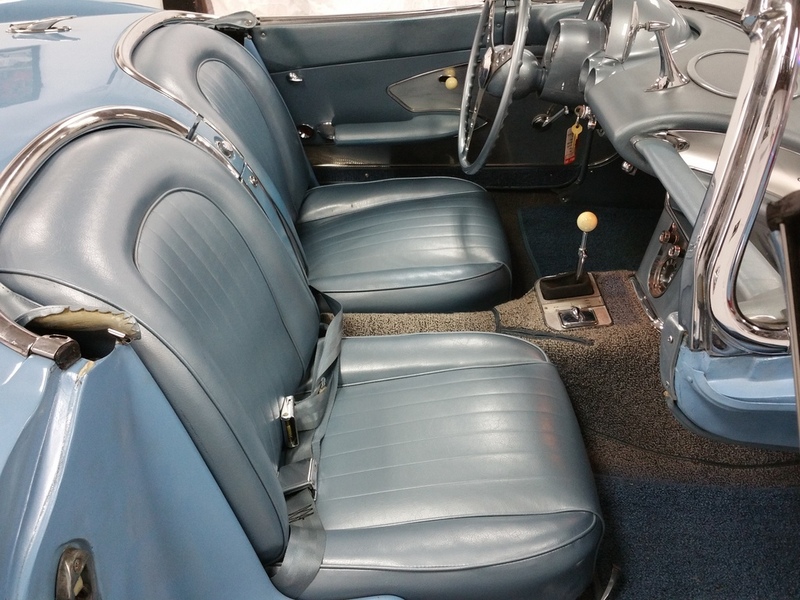 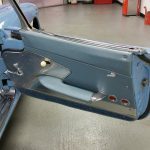 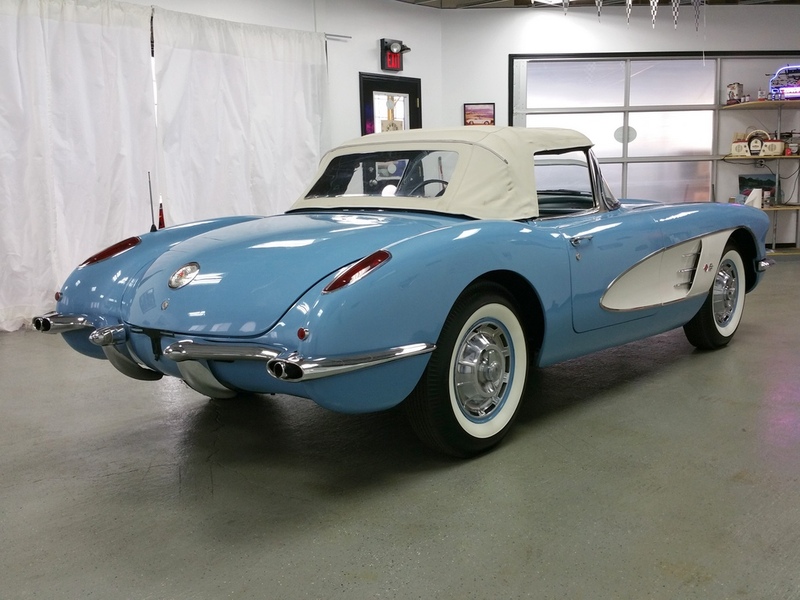 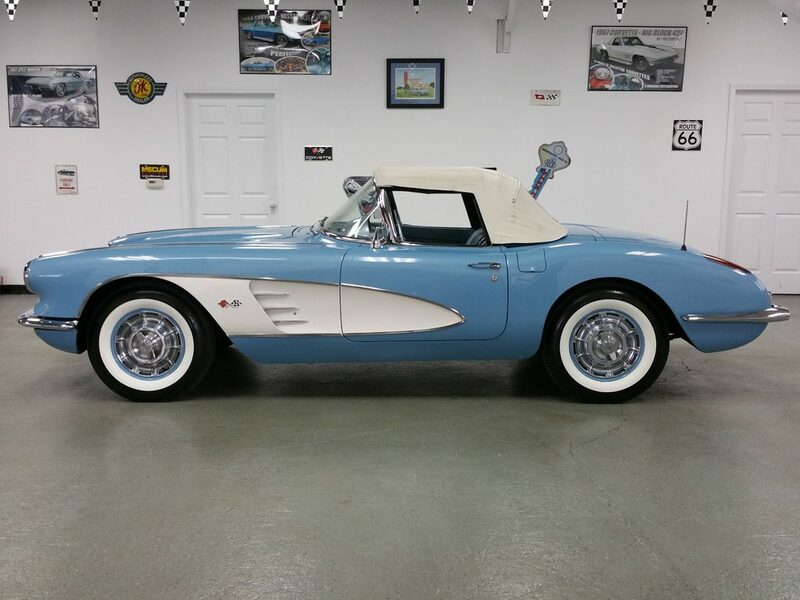 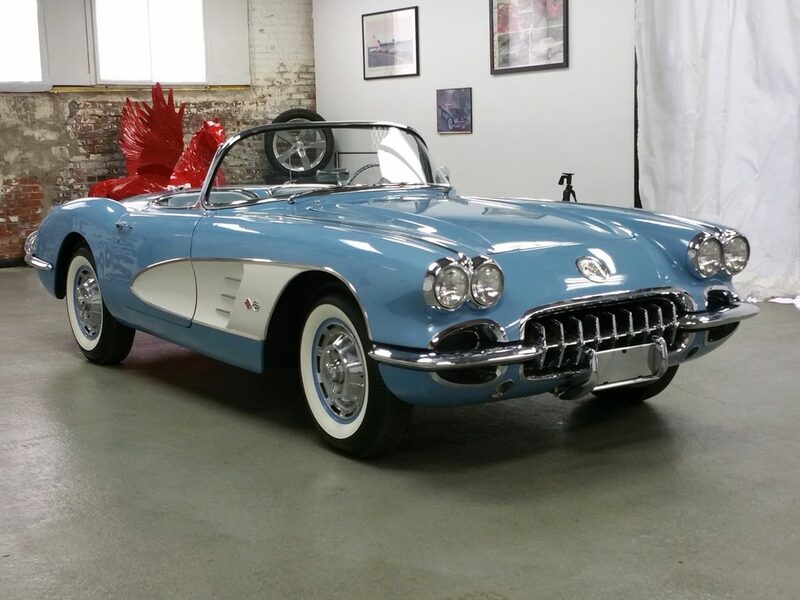 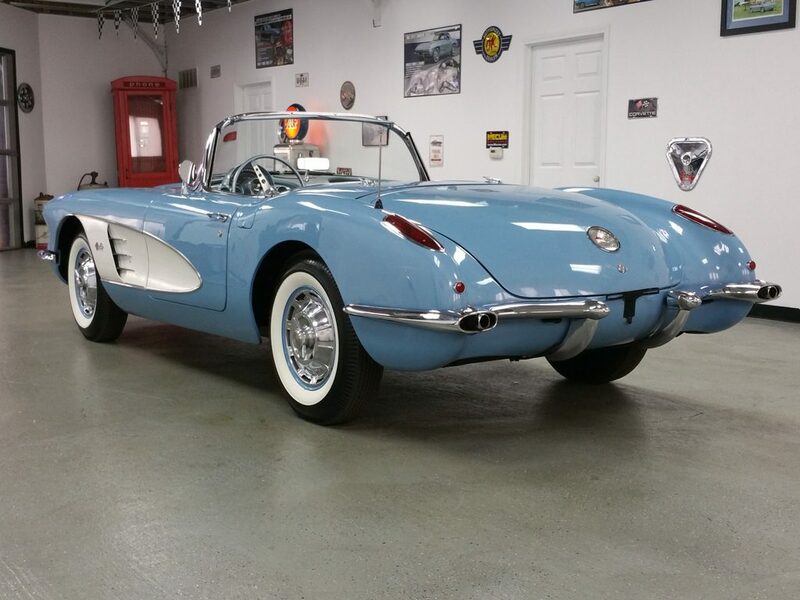 1960 Corvette Horizon Blue/Blue (wht. 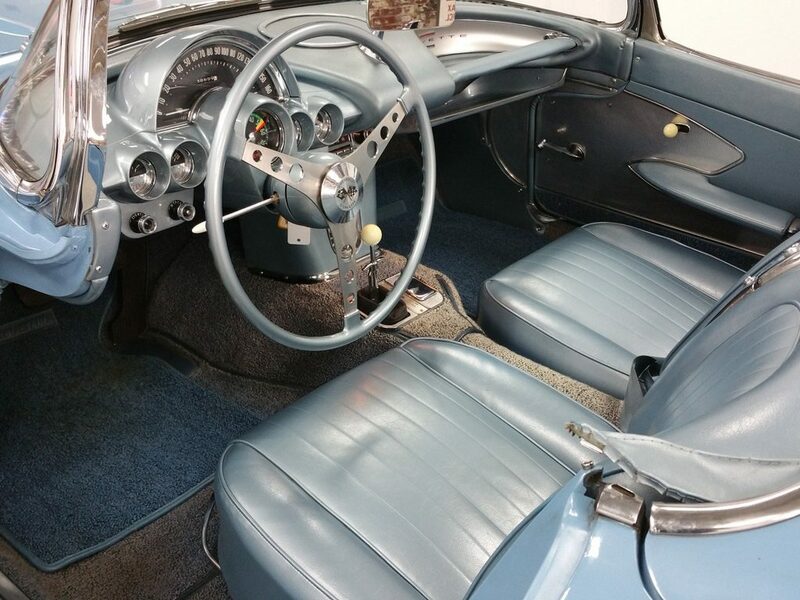 coves) - #s matching "SOLD"